Pick ‘n Pay and the Nelson Mandela Foundation have partnered with FoodForward SA to take up the challenge of collecting enough food to provide 1 million meals for its 600 beneficiary organisations across the country. Now in its second year, the FoodForward SA Mandela Day Food Drive is a national call to action that encourages corporates and individuals to unite against hunger, and work together to help those in need. On 18 July, people around the world are encouraged to spend 67 minutes doing something positive for their communities in respect of Mandela Day. It is to honour the 67 years that the late South African president, Nelson Mandela, spent fighting for social justice, equality and democracy. There are several ways to get involved, such as volunteering in-store or purchasing basic food ingredients at selected Pick n Pay stores nationally from 13-15 July, or spending your 67 minutes on Mandela Day at one of the packing events in 6 provinces across the country. From 13 to 15 July, registered individuals will volunteer at selected Pick n Pay stores in Cape Town, Johannesburg, Durban, Bloemfontein, Rustenburg and Port Elizabeth, and encourage shoppers to buy selected food groceries. 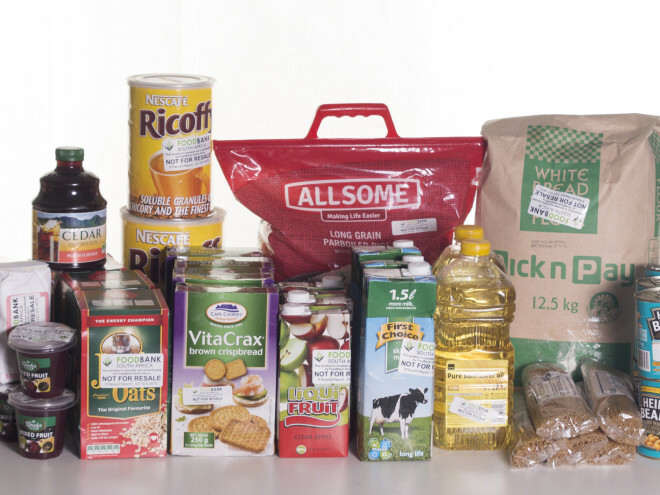 Shoppers can visit selected Pick ‘n Pay stores and purchase basic food groceries from 13 to 15 July. Volunteers will be in stores handing out branded bags indicating which groceries shoppers can purchase and drop them into the branded containers. On Mandela Day, 18 July, corporates can encourage their staff to spend 67 minutes at either of the six Corporate Packing Events to sort and pack the donated groceries for distribution to our Beneficiary Organisations during the cold winter months. Thanks to the caring people of South Africa, FoodForward SA’s 2017 Mandela Day Food Drive in partnership with Pick n Pay raised 130 tons of staple foods, and more than 5000 volunteers supported the campaign by either volunteering in-store, or sorted and packed the food across the country, during their 67 minutes. “Thank you to everyone who supported this campaign and made it an overwhelming success. 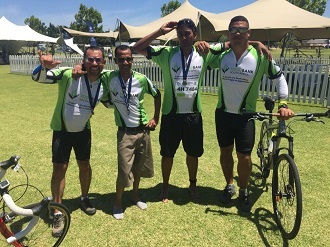 The true spirit of nation building and unity was in action which helped FoodForward SA address food insecurity in South Africa in a meaningful way”, says Andy Du Plessis, Managing Director of FoodForward SA. Get involved today! To register as a volunteer please click here.